This weekend will be your last chance to catch the Censored! Stage, Screen, Society at 50 exhibition at the V&A, as well as our library display at Aldgate Library on the topic. 2018 marked the 50th anniversary of the end of state censorship on British Theatre (Theatres’ Act 1968, from Credo Reference via the library catalogue), and the V&A exhibition explores the impact of this abolition, as well as questioning how free we really are in what can be staged. 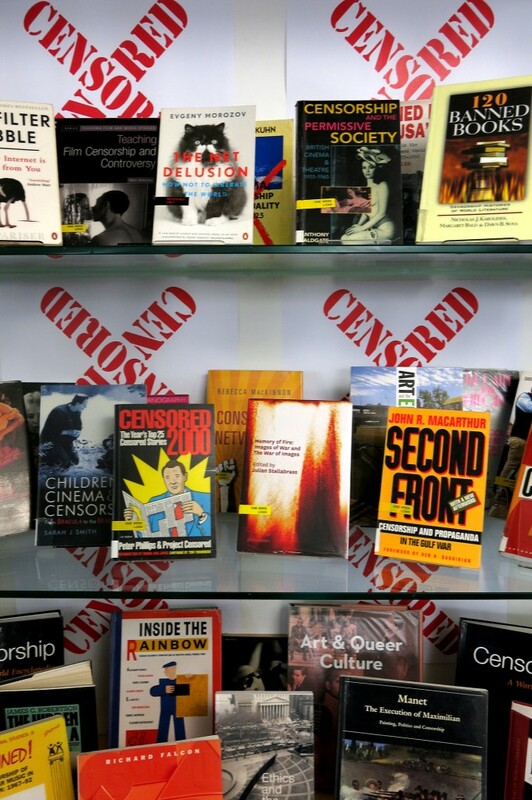 There are many more books available on the topic of censorship at Holloway Road library, and also many e-books too. See a list here. This entry was posted in Exhibitions, Library books and tagged "art history", exhibitions, theatre. Bookmark the permalink.